Not too late for Inez Milholland! Program at Suffrage Wagon Cafe about America’s suffrage martyr! 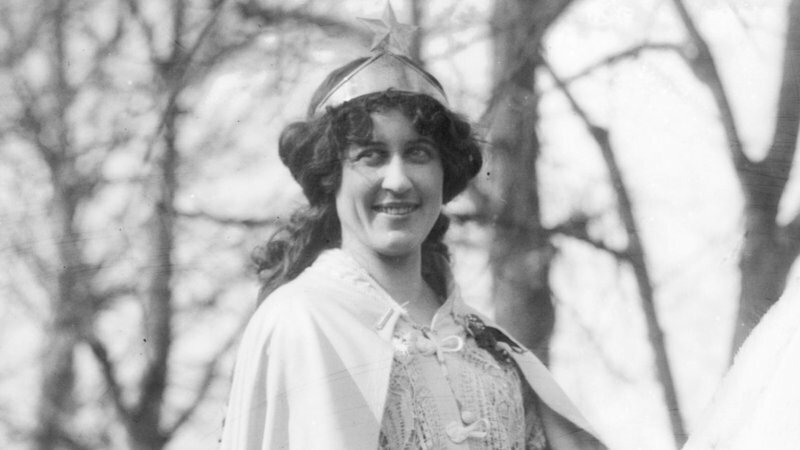 Write a letter about Inez Milholland, America’s suffrage martyr! on Vimeo. WILL AMERICA’S SUFFRAGE MARTYR BE LOST IN THE SHUFFLE? NOT IF WE TAKE ACTION NOW! Inez Milholland died 100 years ago on November 25, 1916 for women’s voting rights. Supporting the nomination for recognition by U.S. Congresswoman Jackie Speier. Schools and college students, as well as citizens across the nation, have been sending postcards to the White House and circulating a digital petition. The National Women’s History Project made Inez one of their 2016 honorees. The citizens’ medal, the second highest of presidential awards, recognizes Americans who have made significant contributions to the nation’s progress. Citing her “vital” leadership in the suffrage movement, Congresswoman Jackie Speier (D-CA) called Milholland “a shining star in the pantheon of inspiring leaders” in the early 20th century. Speier nominated Inez for the medal. Yet our national suffrage martyr is barely known even in the region where she lived, and where there are today few women elected to office in upstate New York where she is buried. As a result, there has been an outpouring of concern that has led to action on the national level. A chair in the Essex County government chambers is dedicated to Inez but no woman has been elected to the Board of Supervisors since 2014 and the chair remains empty. There are no women elected to office in 14 of the 18 town councils in Essex County. Inez certainly tried to address women’s exclusion while she was alive. In 1911, she spoke to Essex County male legislators and gave them a piece of her mind. She was a commanding figure—a Vassar College graduate, tall, attractive, full of energy and drive, a law student at New York University, and someone ready to change the world. Inez Milholland went on to graduate from law school. After participating in other forms of social activism, she focused on women’s rights. Many Americans are aware of the striking figure on horseback leading thousands of women in Votes for Women parades in New York City and Washington, DC. When they asked the name of this dynamic individual inspiring tens of thousands of voting activists, they found out it was Inez Milholland. Inez wasn’t alone among New Yorkers passionate about social justice. Essex County in upstate New York has a long history of leadership in civic liberty. The region was a major route on the Underground Railroad before the Civil War. Prior to his burial, John Brown’s body lay overnight in the room where the Essex County Board of Supervisors meets. Inez’s grave is not far from the center of county government in the neighboring Town of Lewis, NY. Many people travel there each year to honor her. The family home, now a music school, is nearby. Inez died on the other side of the country, in Los Angeles, on November 25, 1916, after a grueling speaking tour of the west to arouse women voters. Women in the western states won the vote before their sisters in the East and so they actually had political power. Inez wanted to harness that power to pass the 19th Amendment to the U.S. Constitution that guaranteed American women the right to vote. Local and state interest in Inez Milholland goes national! Inez Milholland is both America’s suffrage martyr and a local “hero,” according to Margaret Bartley who lives a ten-minute drive from the churchyard in Lewis, NY where Inez is buried. Bartley is a trustee at the Adirondack History Museum and is working to plan an exhibit for 2017 that will highlight Inez. The year 2017 is the centennial of New York women winning the right to vote in 1917. New York Lt. Gov. Kathy Hochul chairs a state suffrage commission and organizations throughout the state have started planning events and special celebrations. From 2012-2013, Bartley served as the town supervisor for Elizabethtown, NY, the Essex County seat, and she served as one of five women on the eighteen-member Board of Supervisors. The first woman was elected in 1980 and women have been participants in every Board for 33 years through 2013. Five women served on the Board in 2010-2011, but when they ran for re-election, they lost. Bartley described how the outgoing elected women took action. At the end of their terms in office, they stood before the all-male board while Bartley read part of Inez Milholland’s 1911 speech, the one she delivered in that very room more than 100 years earlier. 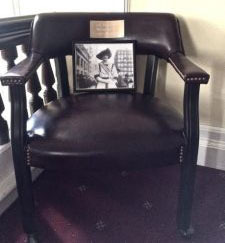 The women dedicated a special chair with a plaque designating it as the “Inez Milholland Chair” reserved for the next woman to be elected to the Board. The idea was to both honor Inez and encourage women to run for office. Bartley is not alone in insisting that the memory of Inez Milholland come out of the shadows. Activists with the National Women’s History Project in California have been building a national educational campaign to honor Inez’s life and work since 2015. One of the campaigns has been to ask President Obama to award Inez the Presidential Citizens Medal before he leaves office in recognition of Milholland’s sacrifice and the work of so many other women working diligently from 1848 to 1920 to win the right to vote for American women. 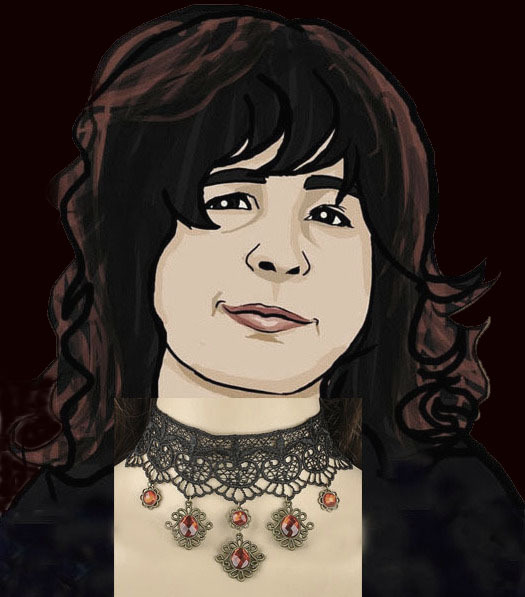 Many people are aware of Inez. Our job is to make certain that she receives the star she deserves in terms of national recognition. 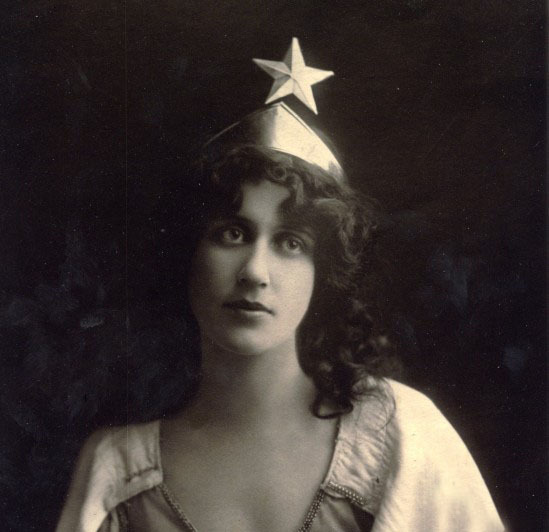 A star for Inez Milholland, America’s women’s suffrage martyr on Vimeo. You can also contact President Obama by letter at: Executive Office of the President, ATTN: Executive Clerk’s Office, The White House, Washington, DC 20502. A 2016 film highlights her remarkable life. Filmmaker Martha Wheelock of Wild West Women in Los Angeles is circulating “Forward Into Light,” a 15-minute documentary and she has distributed thousands of free copies across the nation. You can also order a free copy for your own use, for school programs, and for organizational events. The documentary contains original archival footage responsible for raising the profile of Inez and the entire woman’s suffrage movement. The national suffrage centennial is planned for 2020 when American women will have been voting for one hundred years. Throughout the nation, schools, community groups and interested citizens are learning about Inez for the first time as these efforts, literally, write her back into history. Will this message resonate throughout the nation? Will American women finally hear of and appreciate the long and difficult struggle to win the right to vote? Will we recognize and celebrate women’s drive for political liberty this year and in the years ahead? That’s the idea. Edna Kearns, New York State suffrage activist & her dance card! Happy holiday video for 2016 from Suffrage Wagon!